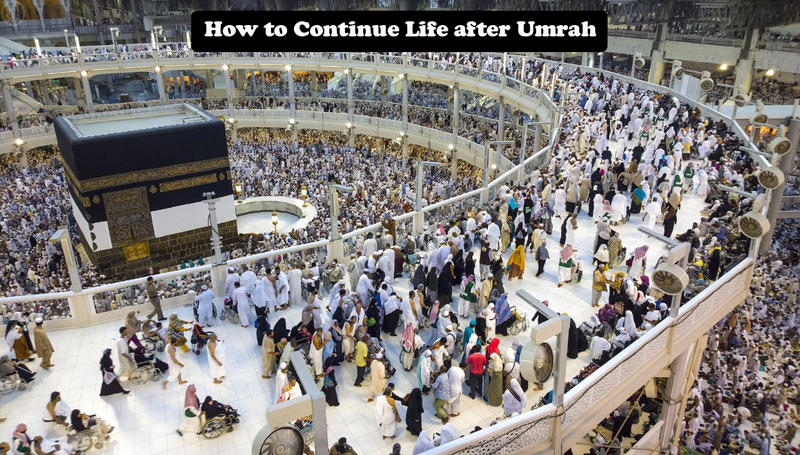 Umrah is a sacred voyage to city Makkah, by performing Umrah or minor pilgrimage a person get purification of the heart and soul. Muslim tries hard to spend their every single minute in doing worshipping ALLAH Almighty by performing rites and rituals of minor pilgrimage and other acts of worship. Undertaking sacred journey to Makkah for performing pilgrimage is the best way to practice faithfulness. Once a person is back to his or her homeland after performing minor pilgrimage the strength of sacrificing world desires and sticking to the promises did in Makkah seems quite discouraging task to uphold. The essence of the teachings one get and adopted during the sacred journey lies in fulfilling the practices after reaching back to their homes. The feeling and essence of the holiness of minor pilgrimage is to carry on its teachings in errands like helping others as you used to help Muslims in Makkah, try to maintain the spiritual level, never miss the level of enthusiasm of spirituality, keep the thirst for donating charity on and try hard to built strong link between you and ALLAH Almighty. In order to remove the fear of losing and missing the momentum and motivation that a person gained during his blessed voyage of minor pilgrimage he or she has to maintain and follow the practices that he or she do in Makkah for the rest of the months. If we consider minor pilgrimage as a training ground then we will be able to mould ourselves according to the orders and commandments of ALLAH Almighty and then our heart and soul will be enlightened from the fear and despair of losing the real essence of minor pilgrimage afterwards. Before leaving for sacred journey to Makkah in order to perform minor pilgrimage Muslims become more focused about their wealth, health and spirituality and when we are there we indulged ourselves more in performing acts of worship and doing Zikar. Muslims needs to maintain good quality manners which he or she has adopted during his sacred voyage. Try to take a start from practising the possible small habits like making yourself away From all those acts, thinking and practices that shunts you to do bad deeds. You should have strong control on yourself same as you controlled during your stay in Makkah for minor pilgrimage. Continue performing acts of worship after the sacred journey, like performing all five salah daily and with obligatory salah try perform voluntary salah and also other acts of worship. Going to Makkah is a life changing journey, if a person tries to change himself and wants to become virtuous and pious Muslim then should adopt whatever he learn throughout his stay in Makkah. With an aim to provide pilgrims the excellent Umrah Packages, Kaabah Tours have a tendency to choose meanwhile creating the journey persistent, sweet and essential. Kaabah Tours offer their clients the best services with cheap and accurate airfares for flights to Saudi Arabia, Hotels Arrangements with the most effective and nearest region of the Holy Kaabah and Prophet’s Mosque and ground transportation. Our exceptionally energetic accompanying client care representatives’ assists you to find an Easter Umrah Package as indicated by your requirements with no hidden charges or overheads without any negotiation on your comfort.